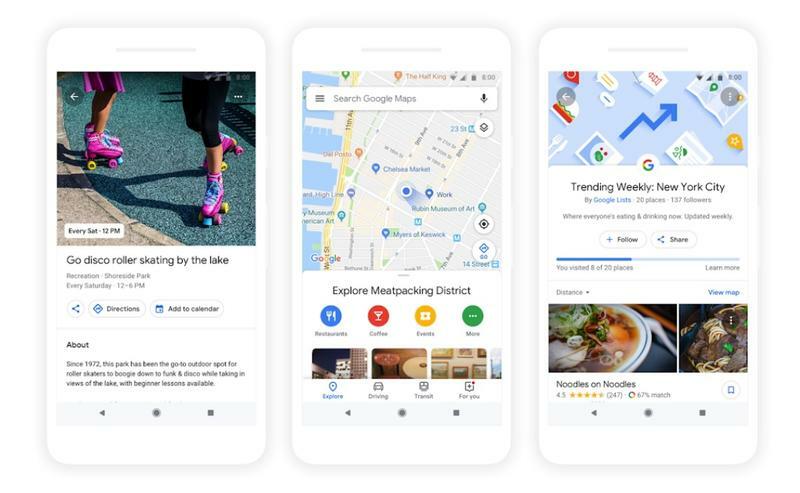 Google on Tuesday rolled out a major redesign to the Explore tab in Google Maps, making it easier for users to find restaurants and points of interest in their area. It's like having a tour guide in your pocket. On Android and iOS, the Explore tab can be found at the bottom of Google Maps; tap it and you'll be able to easily see what's nearby. The feature will show places based on Google's algorithms and what's trending among influencers, including sites like The Infatuation. There's also a new For You tab for a list more tailored to your tastes. Tapping on any food or drink venue will display your "match"—a number that suggests how likely you are to enjoy a place and reasons explaining why. We use machine learning to generate this number, based on a few factors: what we know about a business, the food and drink preferences you've selected in Google Maps, places you've been to, and where you've rates a restaurant or added it to a list. The updates experience sounds a lot like some of the features from Google Trips was put directly into Maps, which makes sense. According to Google, some features have been built specifically for Android users, like the ability to keep track of your progress against any restaurants featured on a trending list. But these features would potentially be available for iOS users down the road. The new features are rolling out to Google Maps now for Android and iOS.